2015-16 JCCC SEASON ABOUT TO BEGIN!! JCCC SINGS FOR PRESIDENT SHIMON PERES!! 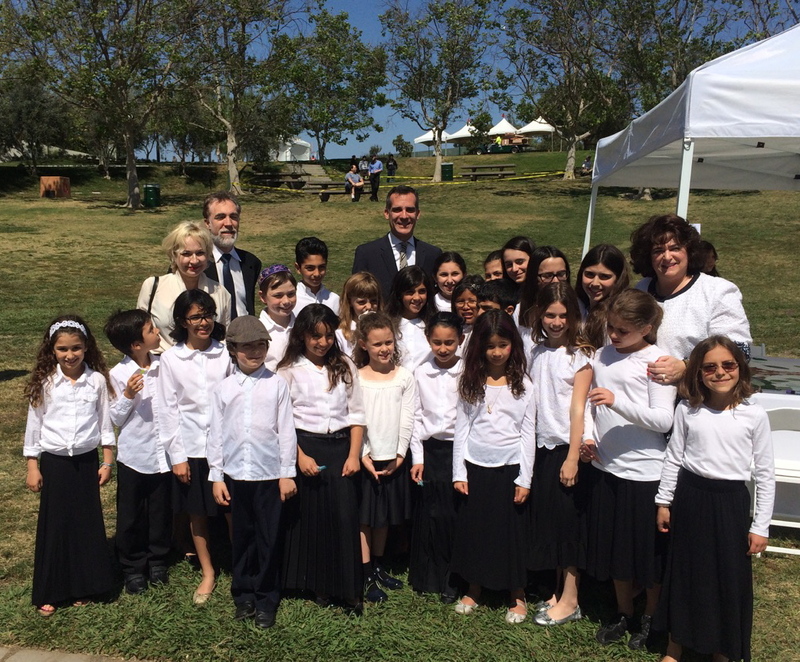 MEMBERS OF THE JCCC WITH MAYOR ERIC GARCETTI!! It’s Sunday afternoon at the Workmen’s Circle in Pico-Robertson. A group of Orthodox women sit chatting in a back room, while, a few feet away, a father in blue jeans talks with a mother who is clearly not as traditional. 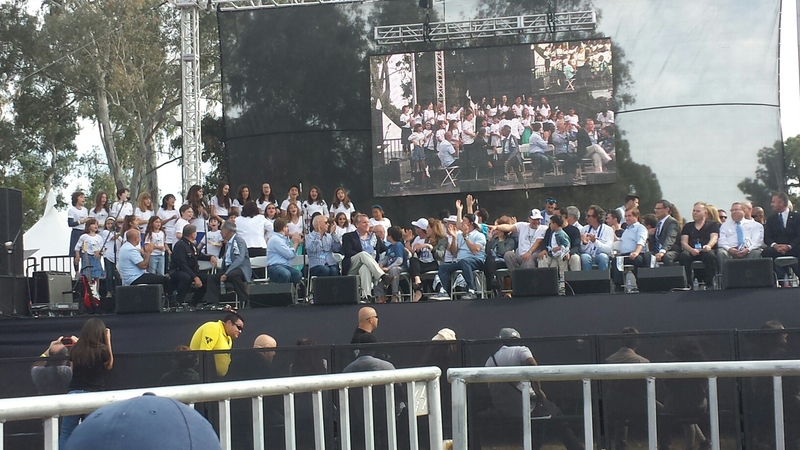 In the large social hall, several dozen children — Orthodox, Conservative, Reform and everything in between — sit rail- straight in their seats as Michelle Green Willner shows them some music. 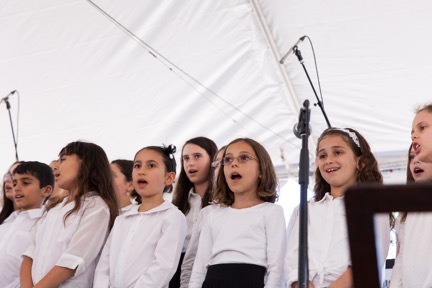 This is a rehearsal of the Jewish Community Children’s Choir, a pan-denominational group of children who come together each week to sing and learn about Jewish music. For Green Willner, it’s a longtime dream that’s finally come to fruition. Growing up in Toronto, at what she describes as a “very singing shul,” Green Willner was fascinated by music from an early age. “I would come home and try and figure out the music that I was hearing at shul,” she said recently at her home in Los Angeles. That love of music led her to pursue conducting as a student at the University of Toronto, and when she moved to Los Angeles 20 years ago, she dove into the Jewish music scene. 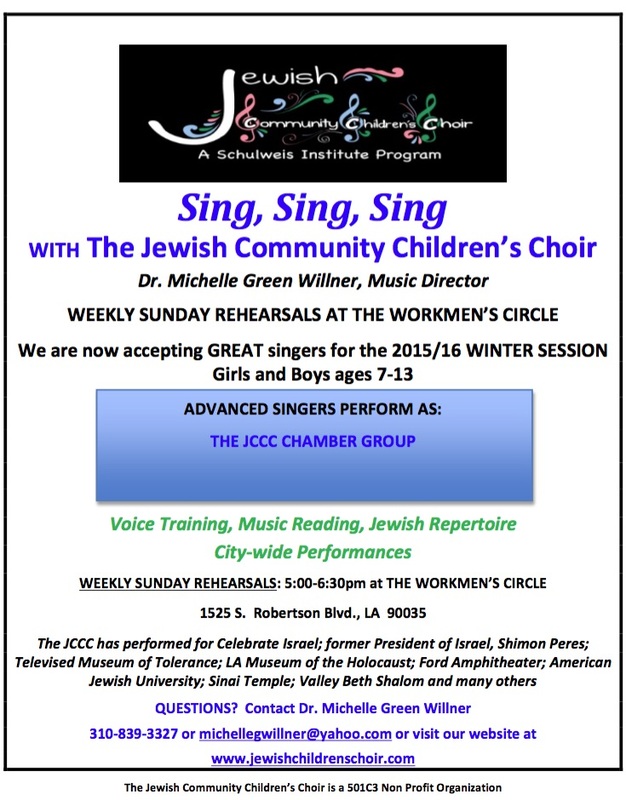 Gigs conducting the Workmen’s Circle’s Yiddish choir, creating a children’s chimes choir at Yeshivat Yavneh, and writing and arranging numerous musical works brought her to the attention of Noreen Green, founder and director of the L.A. Jewish Symphony. “We’re not related at all! Everybody asks that question,” Green Willner said, laughing. Green wanted Green Willner to meet with Valley Beth Shalom (VBS) Rabbi Harold Schulweis (z’l), who was interested in starting a Jewish children’s choir. Schulweis told Green Willner that “a community that sings together, stays together,” a quote she uses to this day to motivate her choir. 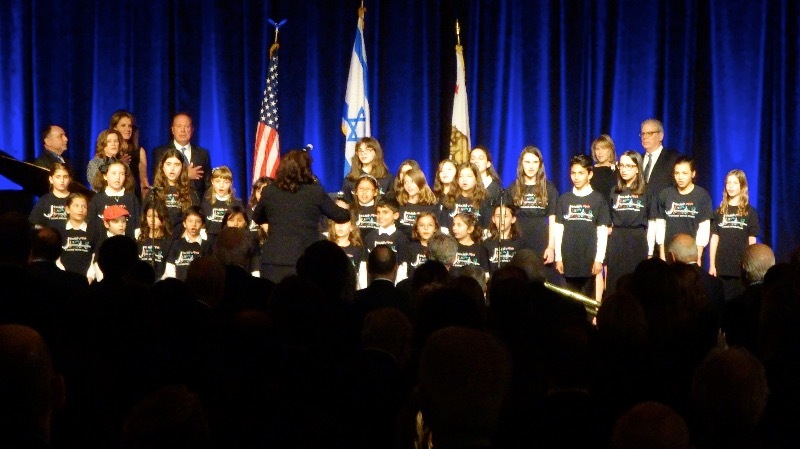 The Schulweis Institute, a center for Jewish learning in the San Fernando Valley, provided an initial three-year grant, and in 2011, the Jewish Community Children’s Choir was born. “We only had eight children our first rehearsal,” Green Willner said. 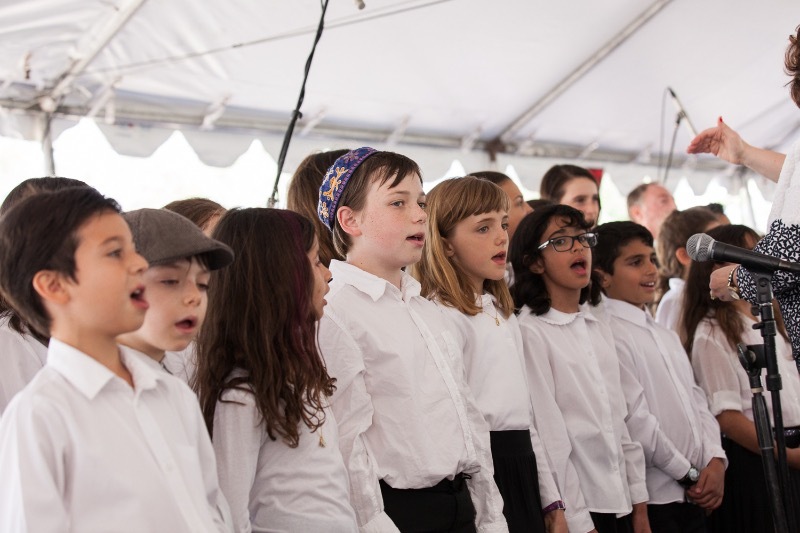 “It’s taken off at the Workmen’s Circle.” Rehearsals regularly draw dozens of children, ages 8-13, from places as diverse as Harkham Hillel, VBS, Temple Israel of Hollywood, Sinai Temple and a host of yeshivot. The children have performed at venues around the city, from synagogues to the Museum of Tolerance to Israel festivals. According to Green Willner, they’ve enjoyed a very warm reception. “One of the parents brought an older man to the rehearsal,” Green Willner recalled. “He was sitting on the side while we were practicing … and after we finished one of the pieces, he came over to me. … He was so overwhelmed, he took out his credit card and said, ‘Here, take whatever you need for the choir.’ I said to him, ‘No I can’t take your credit card, but would you do me the honor of, during the break, telling us a little about [yourself].’ ” It turns out the man, Leslie Klein, was a Holocaust survivor. 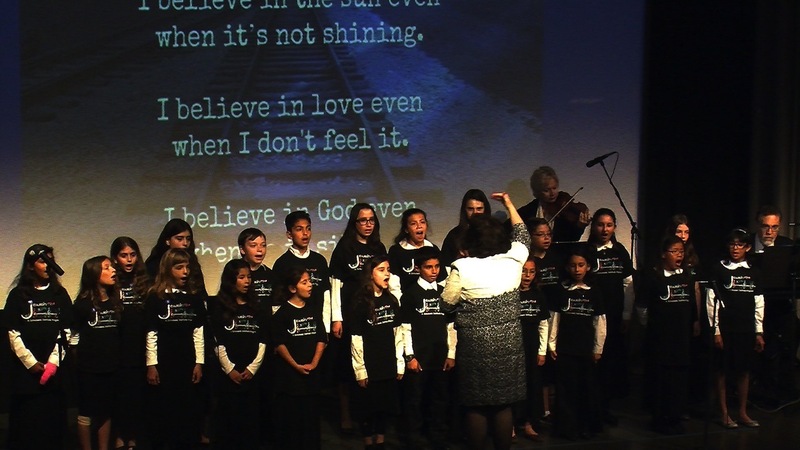 “He told the children, and started in tears, of how listening to the kids singing reminded him of his sister, who sang in the choir before his sister and parents perished in the Holocaust,” Green Willner said. 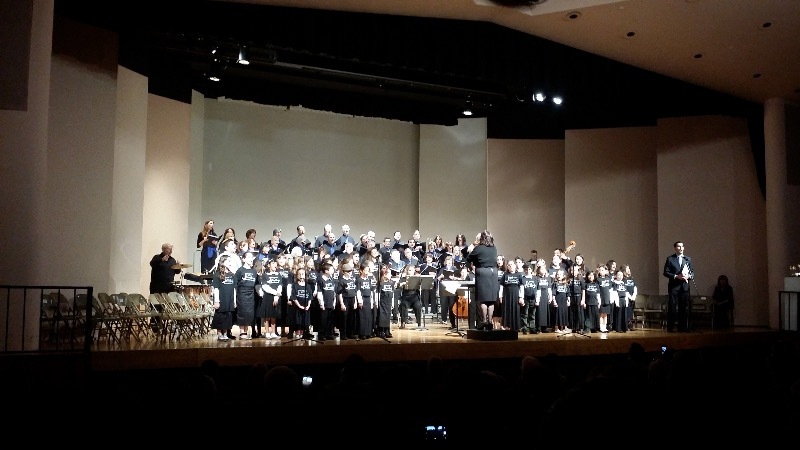 Green Willner hopes that with more exposure, the choir will gain even more participants. “I’d love it to grow and grow and grow,” she said. “I’d love the level of music making to increase and be heightened. Previous Post PLEASE JOIN US FOR PRAYER FOR PEACE AT WILSHIRE BLVD. TEMPLE!